Can this old compressor bring something new to the party? 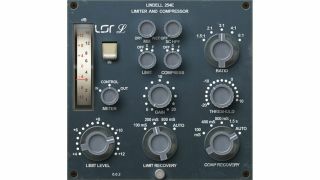 NAMM 2015: Lindell Audio is set to expand its range of plugins with the release of the 254E, an emulation of the 2254 compressor/limiter that was built for ABC TV in 1968. The Revision E version later found its way into numerous top-flight recording studios. The plugin version is said to be faithful to the original (it certainly looks 'vintage'), though it doesn't seem to be available just yet. Keep an eye out for it on the Lindell Audio website.